"Dude, I survived the Miracle on the Hudson. I figure I can survive this." Romney Air Lines makes its inaugural flight, but somehow it was the dogs that rode in the cabin. Taca Airlines experiments with "Nearer My God to Thee" seating. 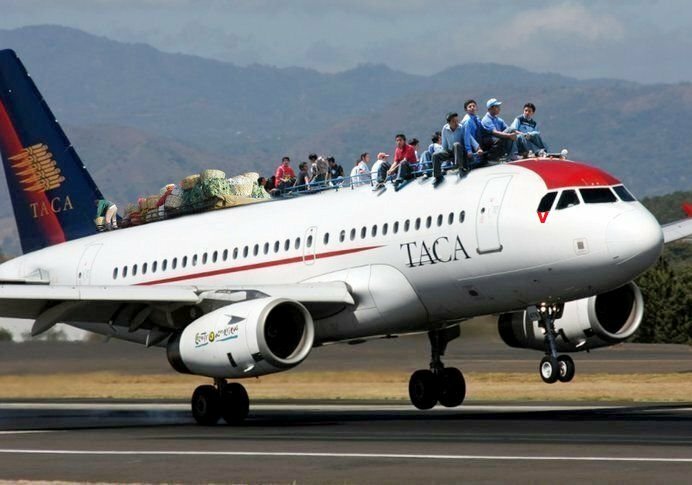 One airline's answer to those passengers who insist on bringing all their over-sized luggage into the cabin. These Regional Conferences get stranger Every Year. We're headed in the right direction, we're all on board with the leadership, but something doesn't seem right.